First, how much do they cost? First, by buying them right in Aguas Calientes when you arrive there. This is a good option if you are NOT going to climb Huayna Picchu. The office is right off the main square, and is open from 5.30 am until 9pm every day. They only accept Peruvian soles in cash – no foreign currency accepted, US dollars not accepted, and credit cards not accepted. You will need your passport or other form of photo identification. The second way to buy tickets is in Cusco,at either any travel agency around the Plaza de Armas or else at the actual INC offices on Avenue de la Cultura. 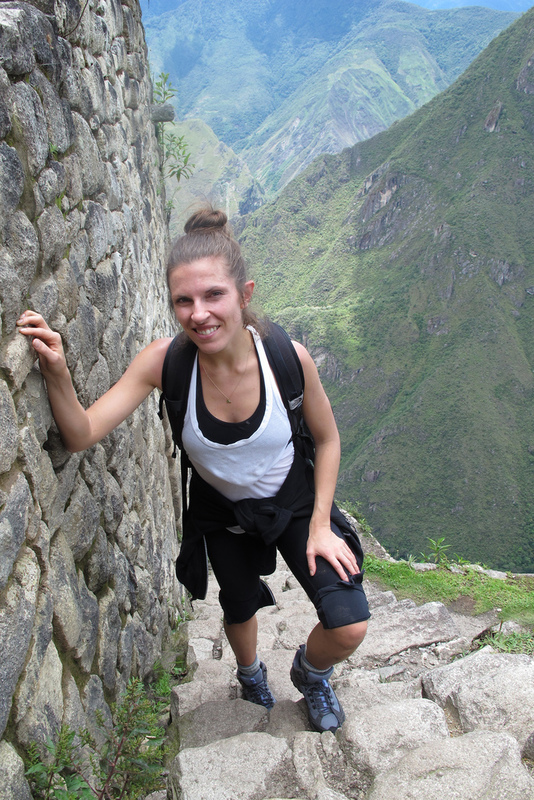 This is a good option if you are already in Cusco and want to climb Huayna Picchu. The third way to buy tickets to Huayna Picchu and Machu Picchu is to go online to www.MachuPicchu.gob.pe Close out the window that appears on the home page, then go to the upper left side of the page and click on Machu Picchu. Then, if you want to climb Huayna Picchu click that in the dropdown box below (there are two options, early morning or late afternoon). Complete Trip Planning Help !! Due to popular demand, we are now offering Machu Picchu entrance tickets and also Peru Rail train tickets. With enough notice, we can even get the nearly-impossible to obtain Huayna Picchu tickets, as well as give you extensive information on how to get the most out of our visit to Machu Picchu. At KB Tambo Hotel and Tours, we are known for our prompt response to all emails, in any language, with the advice of a friendly expat local. We offer everything from a simple 2 day organization to get you smoothly to and from Machu Picchu, or else a week or more of informal but well-planned daily activities, so that you can maximize your precious time in this strange and different country. We are very well known for our trekking, hiking, and of course mountain biking trips around the Ollantaytambo, Cusco, and Machu Picchu areas. We have led numerous explorations with some moderate successes, as well as many pro mountain bike filming expeditions. Email us today at KBperu@hotmail.com and we can help you custom plan your trip of a lifetime ! © 2012 Trekking Peru | Peru Trekking | Trekking Machu Picchu All right reserved.